My Photo of the Week this Sunday is…. 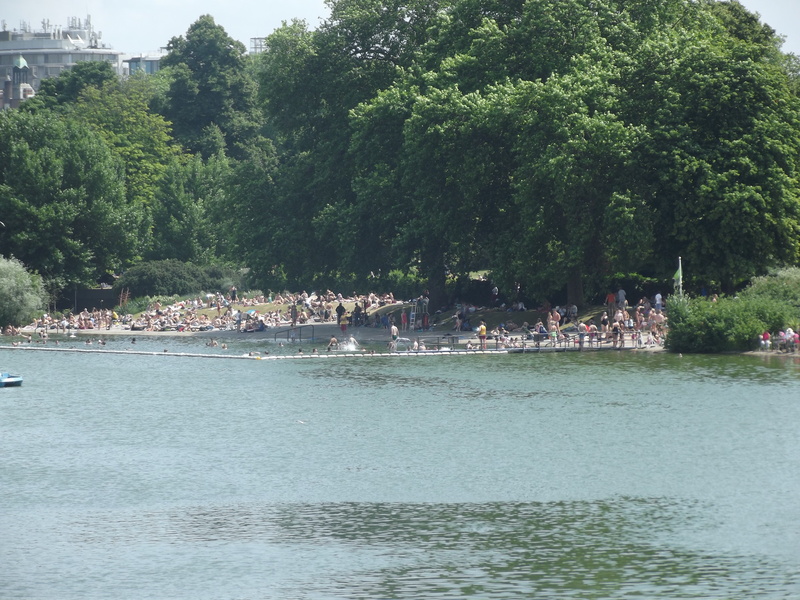 Sunbathers crowd the edge of the Serpentine in Hyde Park. The month of July 2013 was the hottest a lot of us Brits can remember in a long time. And we have not stopped going on about it. Even I – used to these temperatures after four summers in France or travelling in hotter parts of Europe – became a sweaty sun-bore. Well this is how us Londoners keep cool. Head to the nearest body of water, lie down, and turn red until the sun goes down.